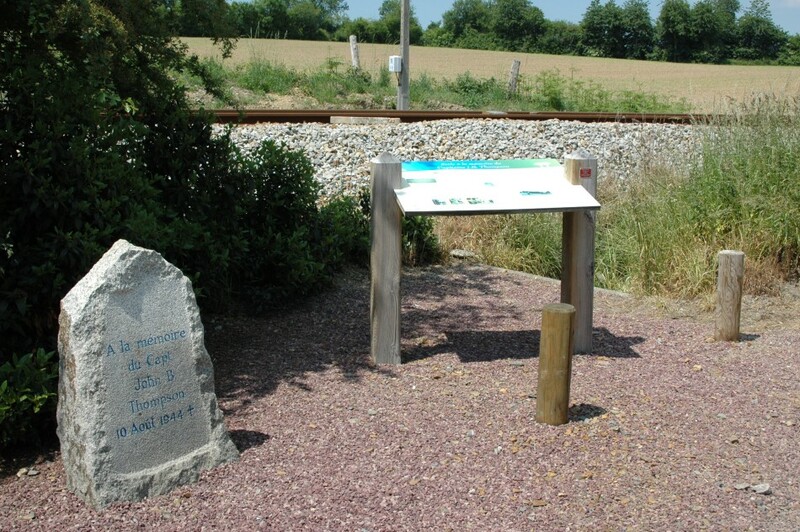 A gravel spot on the eastern side of Le Manoir by the railroad tracks. 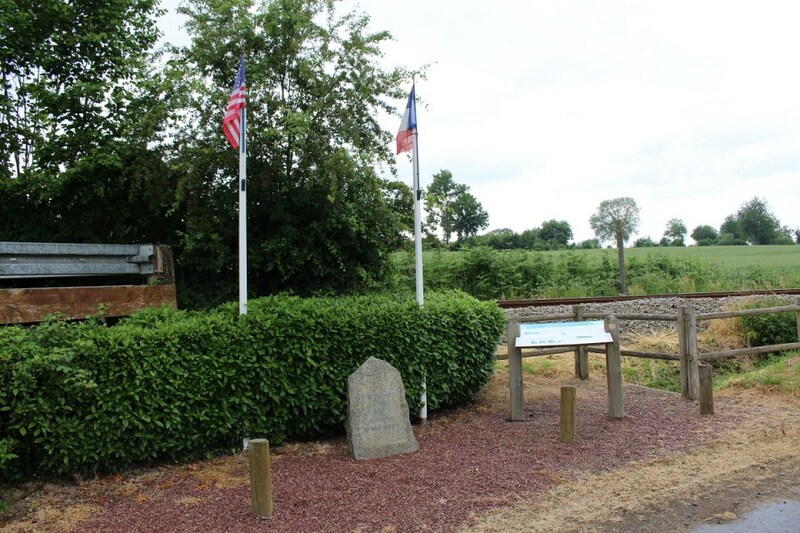 Take the A84 SW from Caen to exit 37 then the D33 NW and then the D35 south. Take Le Chateau east across the railroad tracks then Le Manoir north. 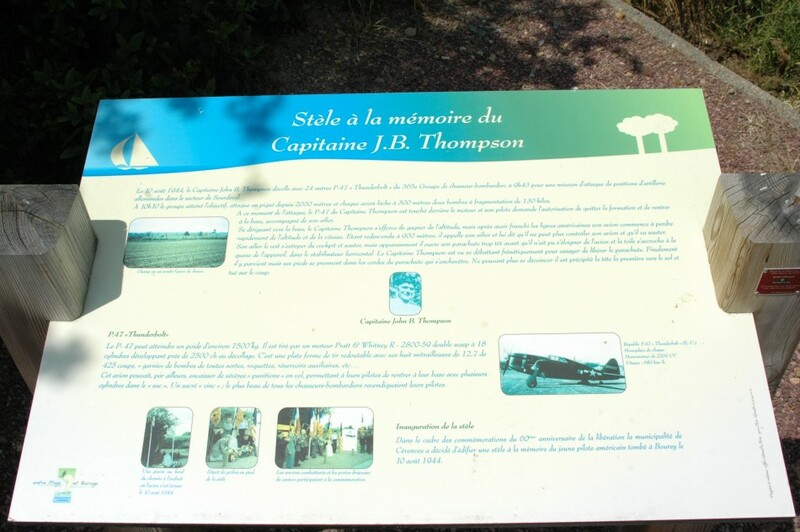 The monument is on the east side of the road. 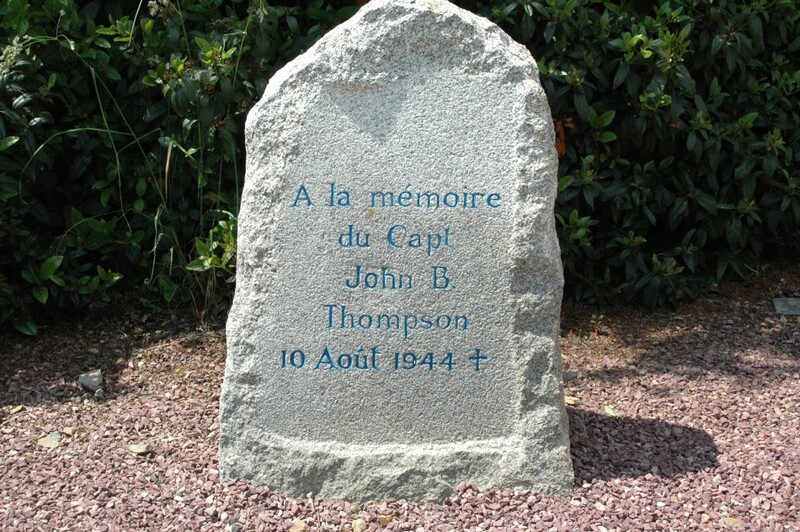 In memory of Capt John B. Thompson August 10th 1944. Notified by : Marie Baud.